Hi there, friends! I am beyond excited to be back with the ladies of No Place Like Home for an organizational series over the next 4 weeks! I’ll be completely honest here and say that organization is not my strong suite. It’s not even close! I really struggle with organization, so I am very happy to have this series to hold me accountable to get some areas tackled around my home. 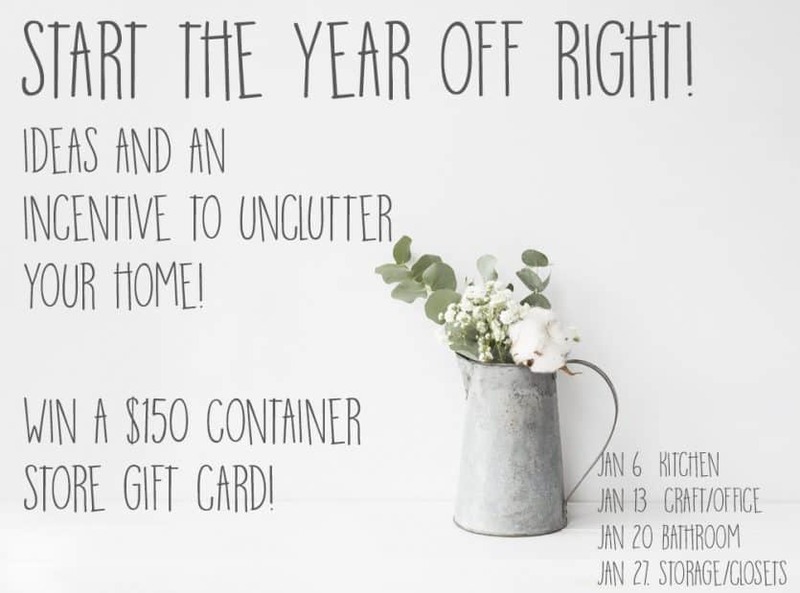 And, so that my blogger friends and I aren’t the only ones following along here, we have a ton of chances for you to win a $150 gift card to The Container Store, and even more chances to win if you show us your organized successes or challenges! Show us anything…your closets, cabinets, pantry, whatever you’re working on. For our first week, we are each working on some aspect of kitchen organization, so I thought I’d finally show you my pantry makeover. 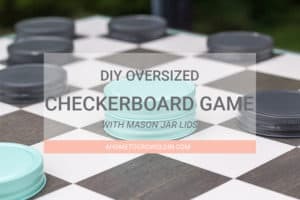 I say “finally” because this pantry makeover has been in the works for a while now, but this series gave me that push to get the last little bit done. Our kitchen is set up a little differently than most, and because of that, our pantry operates a little differently. 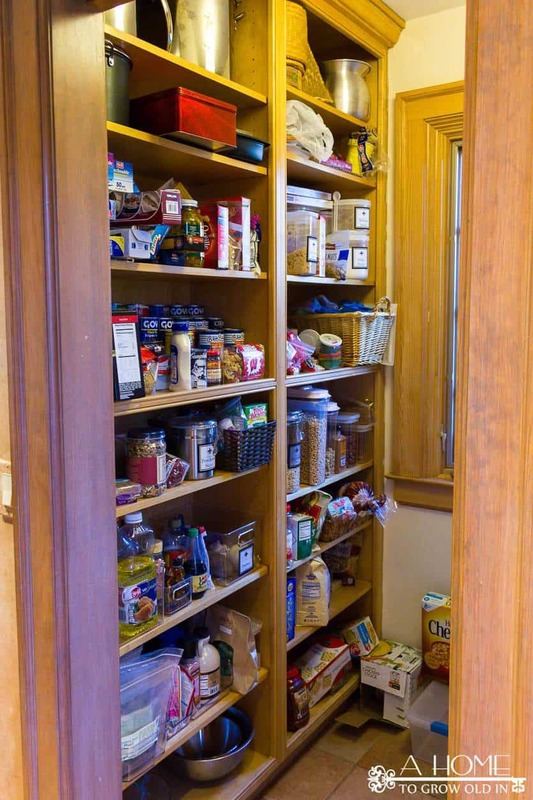 We have a really nice sized pantry, but we need it because there are almost no cabinets in our kitchen. 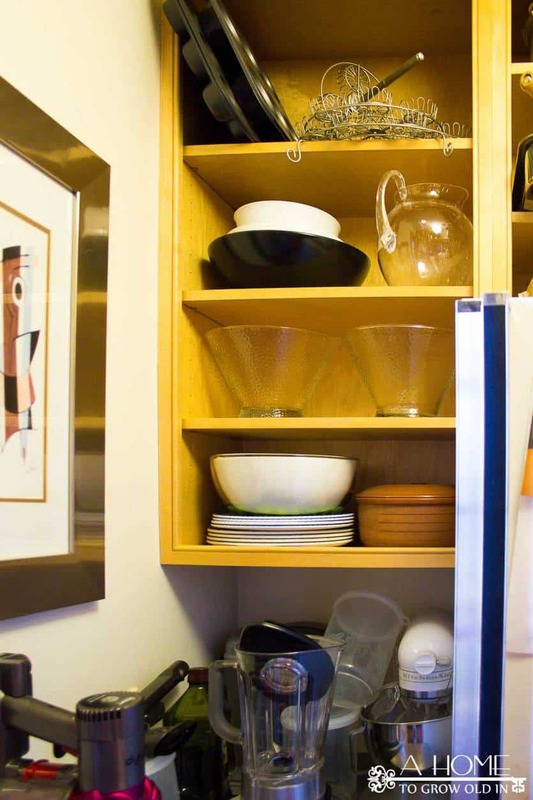 The pantry is where we keep all of our small appliances, serving dishes, and much of our cookware. It’s a little weird, but the pantry also houses our only freezer. It’s one of those things that I’m sure the previous owners had a really great reason to set it up this way, I’m just not sure what that is. 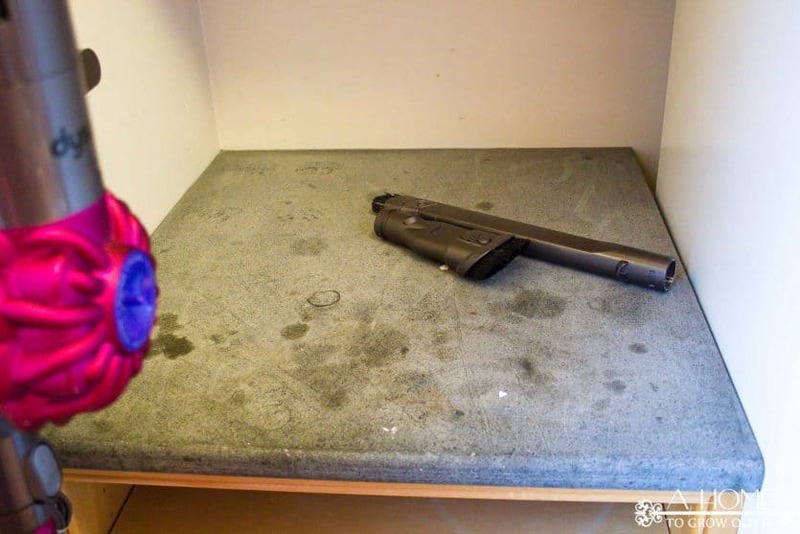 Stuff was shoved everywhere, including on the floor and on top of the freezer. I’m not proud, but I wanted to show you the real deal! 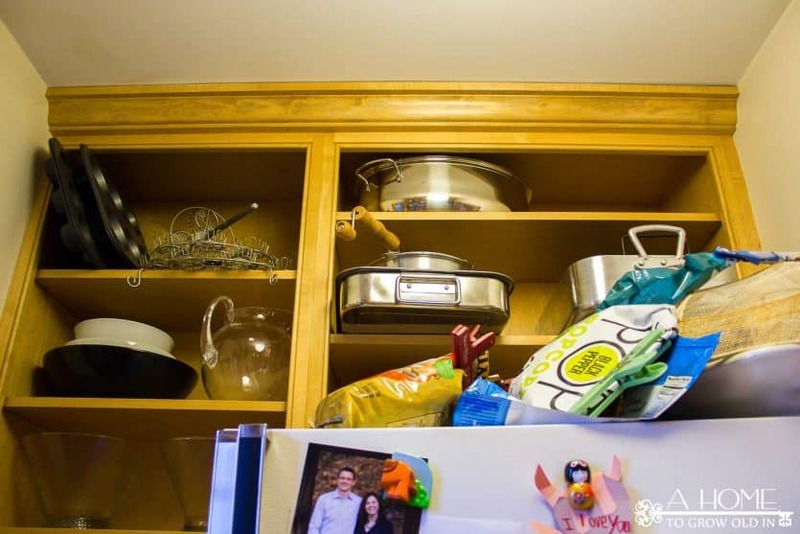 The first step was to get everything out of the pantry and start getting rid of any expired food and small appliances or cookware that hadn’t been used in a long time. I was kind of surprised by how much I was willing to get rid of. Our last kitchen had more space, and the more space you have, the more you accumulate. I decided that if I didn’t use it regularly, it had to go! The kitchen and pantry were remodeled over 15 years ago, so it was also about time for a little refresh. 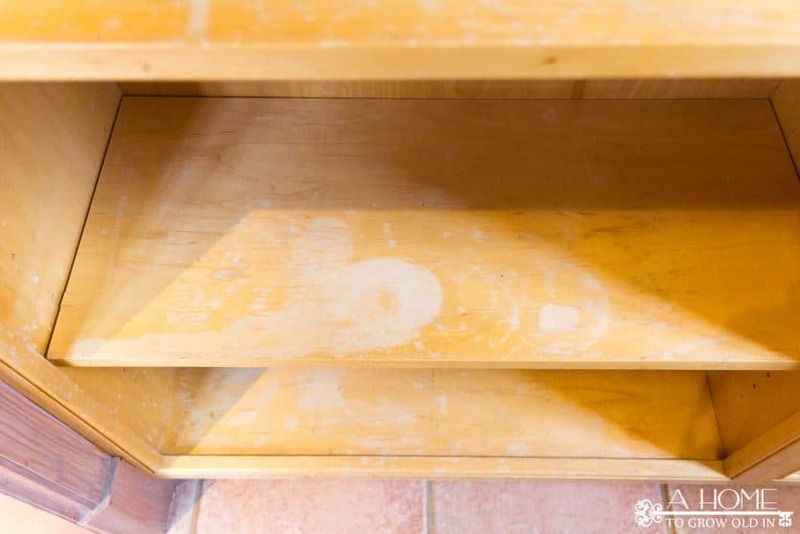 The shelves had seen better days and had some water damage and stains. Even the soapstone countertops hadn’t been oiled in quite some time. I took all the shelves out and painted them, along with the cases, in Sherwin William’s Light French Gray. The walls were painted in Sherwin William’s Snowbound. Once the shelves had time to dry, I applied this contact paper to protect the tops, which is a very similar color match to the paint. Now that the pantry had some fresh paint, it was time to figure out how to organize it all. I put things back into the pantry in zones so that things were easy to find. I’m a big fan of using airtight containers that are easily stackable so that it’s easy to find what I’m looking for, and the ingredients stay fresher longer. 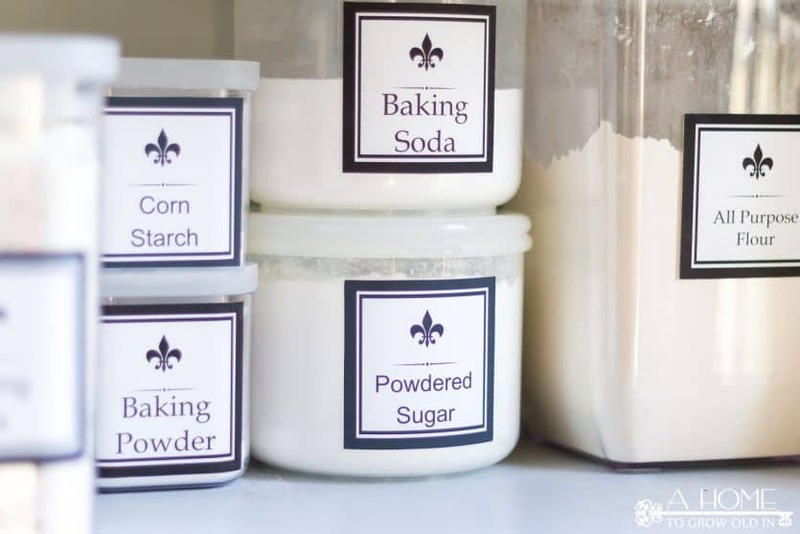 A set of these fleur de lis printable labels for some of the more common ingredients is available in the Printables Library. 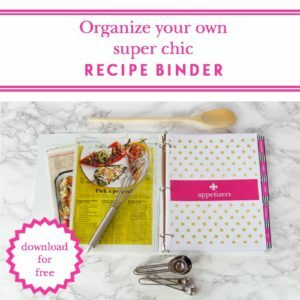 The library is exclusive for email subscribers (you can sign up to receive my emails here), and it’s full of all kinds of great printables, like my recipe binder, gift tags, and so much more. 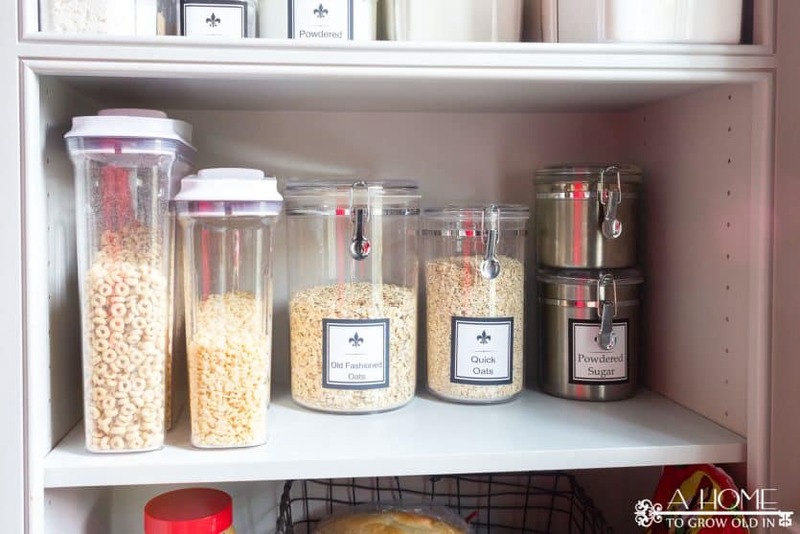 These pantry labels can be printed on inkjet printable vinyl and cut out with scissors. I’ve tried lots of different sticker papers, and this vinyl is by far my favorite. A lot of sticker paper is not water resistant, so the labels are ruined as soon as you wash the container. I’ve successfully handwashed the containers with the printable vinyl labels, and they hold up great! I’m amazed at how much more space I have now. I’ve cleared out a lot of our junk food, but I’m sure as we get a little further into the year some of my resolutions will loosen up a bit, and it will creep back in. The nice thing is that I still have room on the shelves. One of our big challenges before was that we didn’t have an area for surplus stuff or extras. Now, I have a top shelf for an overflow area. It holds everything that didn’t fit into the canisters or things that I’ve bought because I’m about to run out. I donated a lot of small appliances that I don’t use, so now everything fits neatly on the bottom shelves next to the freezer. I also downsized a lot of the serving dishes, so now they all fit on the shelves. I feel like our new pantry set up is something that will be easy to keep up and maintain. I have several bins, in addition to the zones, that are labeled so that everyone knows where things go if they are helping put the groceries away. 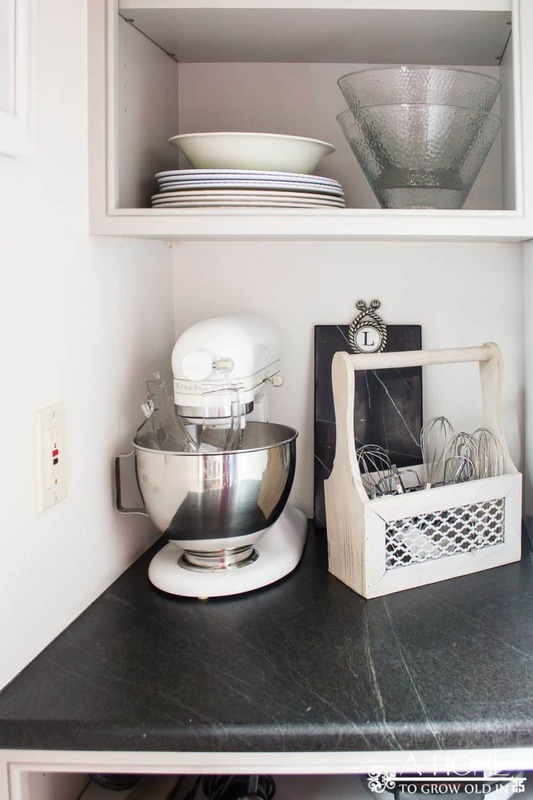 You won’t want to miss the other kitchen organization posts that my friends are sharing today. Head on over to the links below to check them out! 2) Follow the rest of the Rafflecopter prompts below. 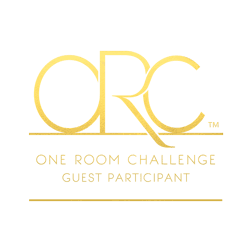 Make sure to come back next week for more chances to win! 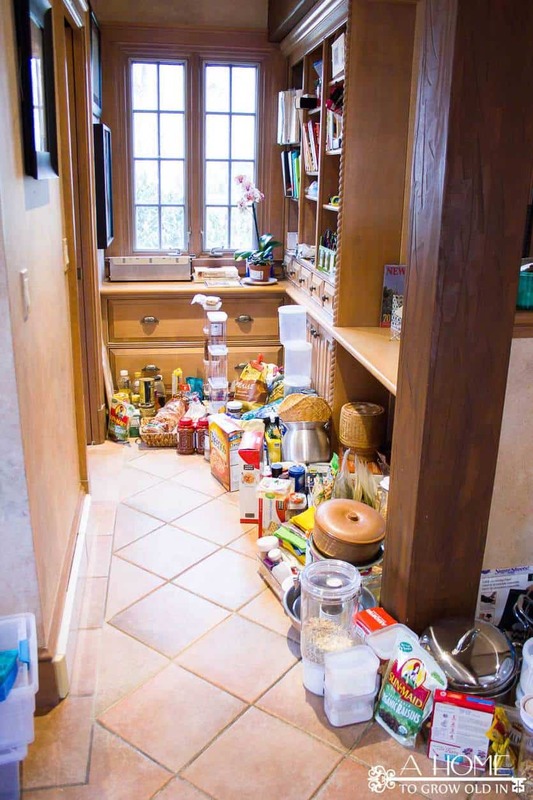 Robin, what a beautiful pantry complete with all the charming quirks of an older home. 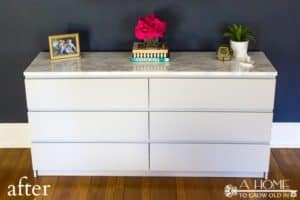 Your decluttering made a huge difference. I know you love walking in to that a pantry now. The pantry looks great! The painted shelves and trim give it a new updated look. Hard to believe the house is over 90 years old! Wow Robin! 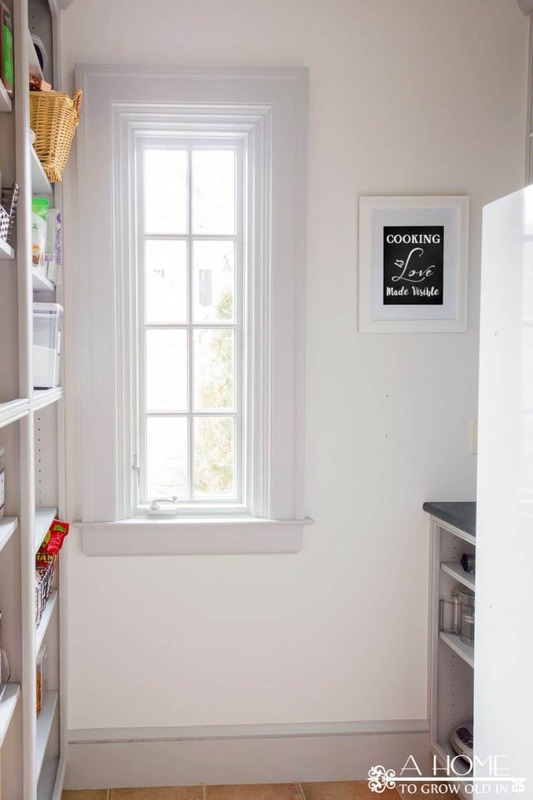 I am so jealous of your gorgeous pantry! Painting was a great decision, it has a more modern look now, and your labels are gorgeous! I need to print some out! You did a great job. Wow Robin! I love the color you selected for your pantry. It is amazing the power of paint to clean up and brighten a spice. It turned out beautifully! 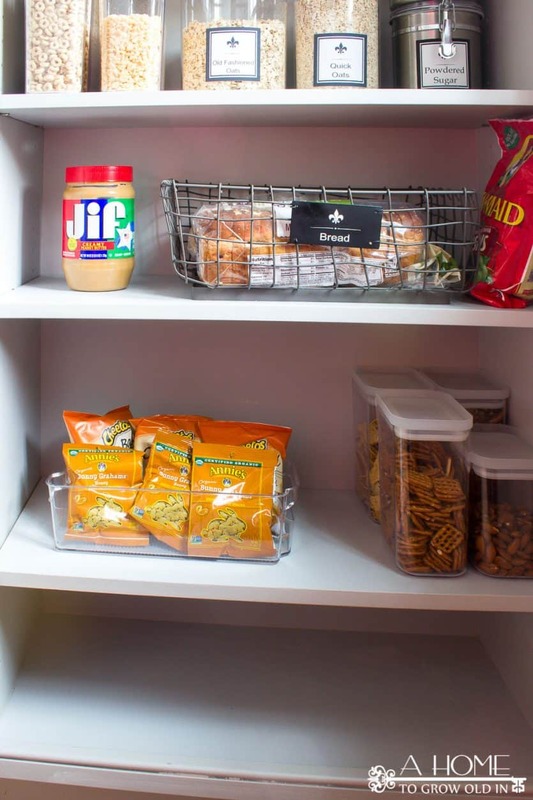 Wow, you totally transformed your pantry and it look amazing. I need some of those labels. Great job! Wow Robin! 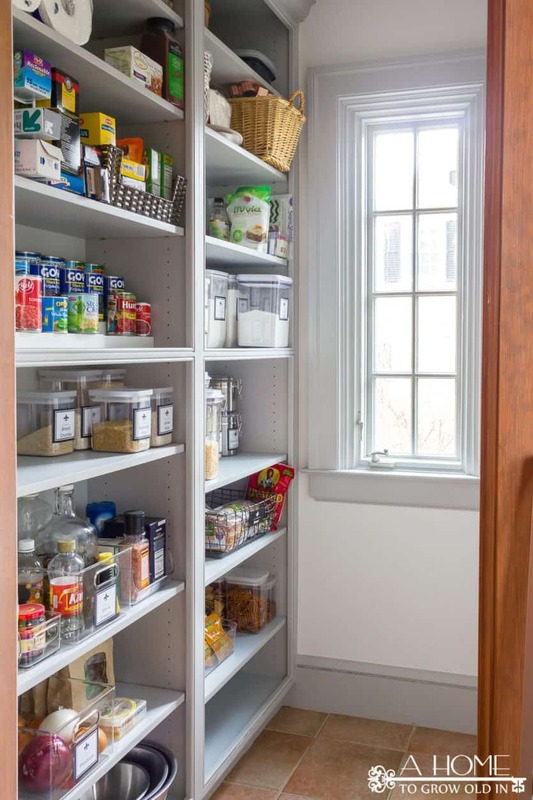 What id do for a pantry like that, it looked great before, but amazing after! Love! 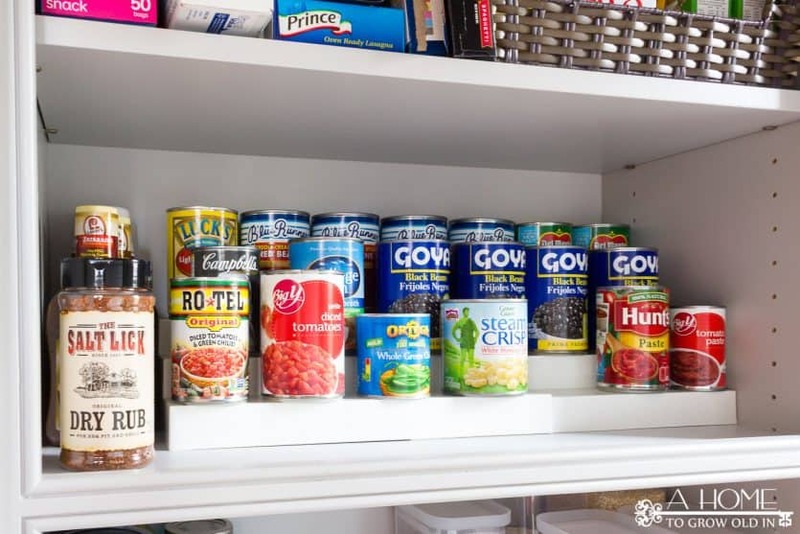 Robin, I LOVE your huge pantry, and painting it made a huge difference. Everything is looking so organized and it looks like you oiled your soapstone. We have soapstone counters in our kitchen and I love them. Beautiful job, my friend! It’s pantry perfect! It feels so good to restore order after the holidays, doesn’t it? Just decluttered the children’t playroom closet…now onto to my pantry! Perfect timing! Your pantry looks so good! I have been working on putting away all the Christmas decorations. I love the colors you picked. So clean looking. 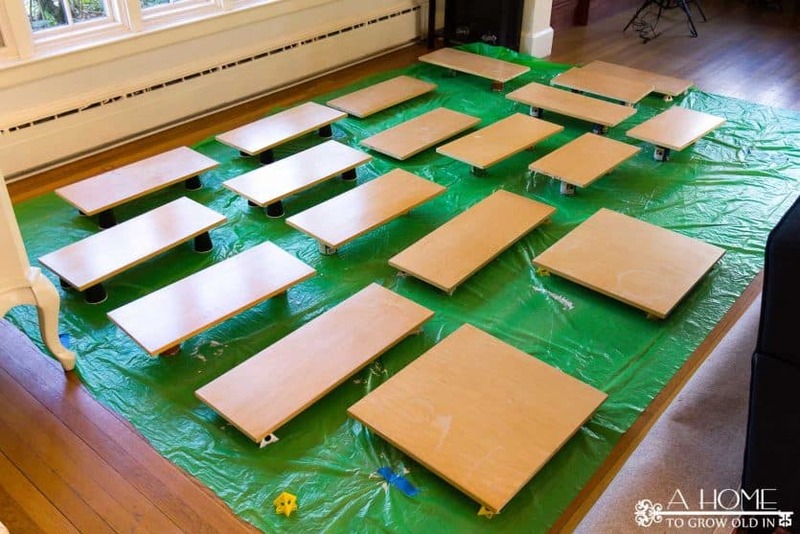 I love your blog it has such nice examples of stuff I would do in my own house. Already used the recipe binder printable and love them!!! Thank you for such great printables.!! 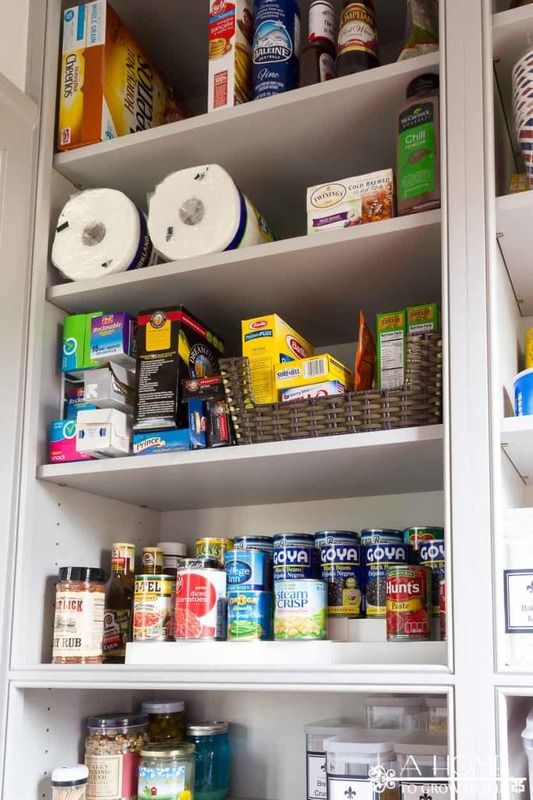 Your newly shined up and organized pantry looks great and I know how great it feels. Despite not painting mine, I have wire shelves, I did a thorough clean out in December and while I don’t do the labeling either I keep all items including cans in decorative wire baskets and organize according to the food group and then each shelf is according to the meal…breakfast, snacks, lunch foods, etc. Every time I go to get something I just feel awesome! 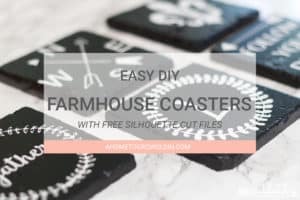 Love the printables you made too! Thank you. 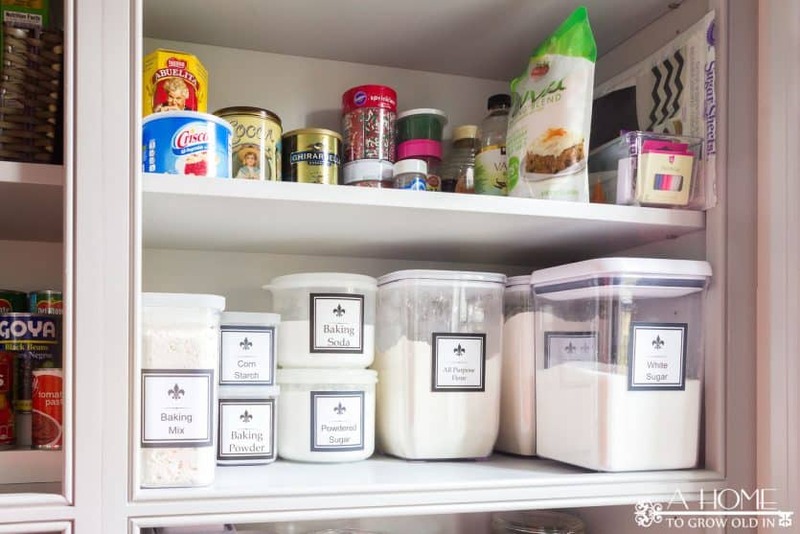 Your pantry looks so beautiful and organized now! I love those printables, too. Thanks for joining us for the Wednesday Showcase this week. Amazing job! I love your printed labels and the risers on the shelves are so helpful. Isn’t it nice to have it all organized?! LOVE! I love your organized pantry. I desperately need to do this to mine. Your pantry is sigh-worthy! 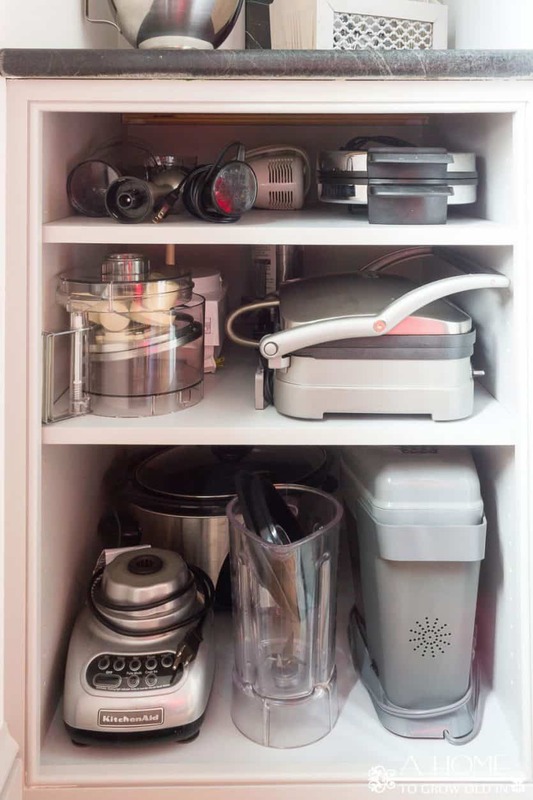 I have a tiny kitchen–your pantry is about the size of my kitchen! Beautiful job! I have finished decluttering my kids’ rooms and this week moving on to mine. I think it might be the most difficult! You have so inspired me, I’ve been organizing my kitchen for the last hour or so. Thanks for the inspiration!